Research area: Innovation management of technology not-for-profits. 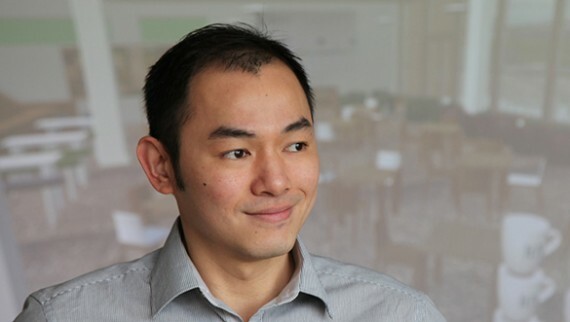 Not only is Bang undertaking a PhD full-time, he is also developing a virtual reality tour of the IfM building, is Treasurer of the Cambridge University Entrepreneurs and volunteers at not-for-profit technology start-ups around Cambridge. Awarded the Malaysian Government’s most prestigious postgraduate scholarship, the King’s Scholarship, Bang said the choice of where to study was easy: “I have always wanted to study innovation and in particular why innovation clusters are so successful. With such a high concentration of high-tech companies, there is no better place than Cambridge to study. It was Bang’s introduction to Cambridge non-profit biometrics technology company Simprints that sparked his interest in studying the business models of not-for-profit technology start-ups. “I decided to volunteer at Simprints and thought that all the other volunteers would also be students. They weren’t. On my first night of volunteering I met retired consultants and experienced engineers, as well as students who were volunteers. “Finding resources is a challenge for not-for-profits when they are starting from nothing. There are a lot of dimensions to resources and technology is just one part. In addition to business models, Bang is interested in how social incubators and social enterprise networks can provide the support and tools to drive entrepreneurial businesses and deliver social good. “There is a really interesting social network effect in technology clusters where organisations support one another. The common link between the organisations to deliver ‘technology for good’ appears to override any competition concerns. Bang obtained his B.Eng in Electronic Engineering from Universiti Sains Malaysia in 2013. After graduating he worked in manufacturing and construction industries for two years, including with National Instruments, prior to starting his PhD.